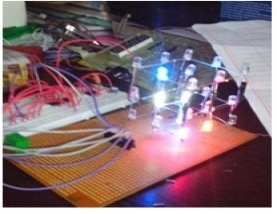 In this Project we are going to make 3x3x3 led cube without any MICROCONTROLLER and Programming, We need only one 555 timer IC and one 4020 binary counter IC with some discrete electronic components. 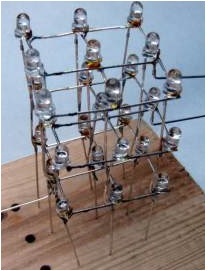 "This circuit drives a 3x3x3 cube consisting of 27 BlueLEDs. 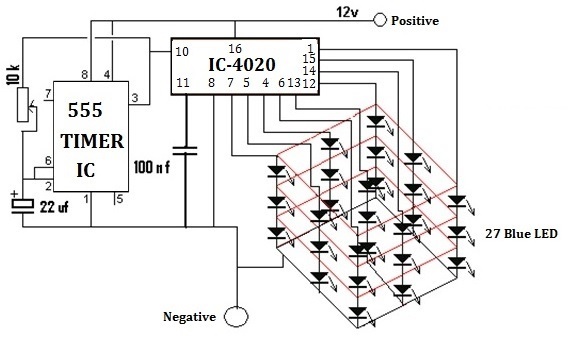 The 4020 IC is a 14 stage binary counter and we have used 9 outputs. Each output drives 3 Blue LEDs in series and we have omitted a dropper resistor as the chip can only deliver a maximum of 15mA per output. The IC 4020 produces 512 different patterns before the sequence repeats and you have to build the project to see the effects it produces on the 3D cube. 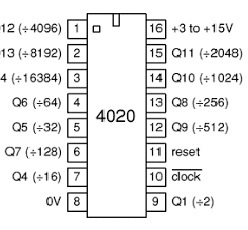 In 4020 IC the reset pin should not be left free it must be connected to the ground with 100nf capacitor. If it is not connected the IC will reset again and again there will be no output in the output pins. The speed of the LEDs is controlled by a 10k variable resistance connected to the 555 IC and the capacitor connected to the 555 IC is 22uf . " 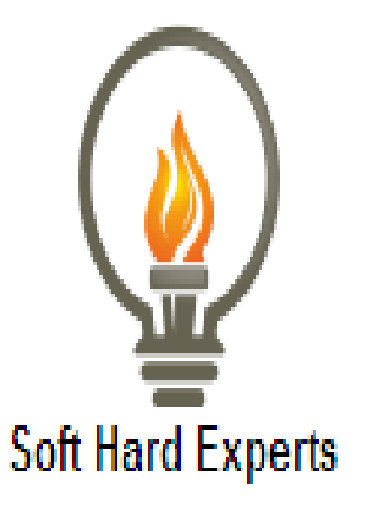 Application : Its for hobbyists to show their creativity to decor various places.